Actually, this blog is just coming back but I do hope you will join me in celebrating the magnificent world of cats – specifically Ragdolls, RagaMuffins, and RagaPur cats which I’ve been honored to know for more than 9 years. This blog is a celebration of this wonderful breed as well as an area to announce my current litter of kittens available and show off my sweet babies. I am not a professional breeder and these cats are not papered – they are just totally sweet, loving babies that don’t need papers. 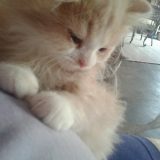 I’ll be adding a ton of info for you including general information on raising cats, how to introduce your kitten to your home, dealing with problem cats and more. This entry was posted in General by Lori. Bookmark the permalink.